With the opening of her Boston home in 1903, Isabella Stewart Gardner “presented a new context for art in America by creating a museum where visitors experienced music, the beauty of gardens, and historic and contemporary art, all in the highly personal setting of her courtyard palace.” Over a century later, the expansion of the Museum was undertaken to enhance these inspiring encounters with music, gardens, and art as well as support the curatorial, educational, and visitor service mission of the Museum. 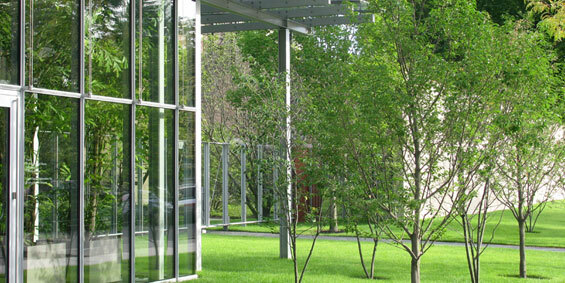 Transparent glass fences enclose the perimeter of the site and provide sightlines through the gardens. 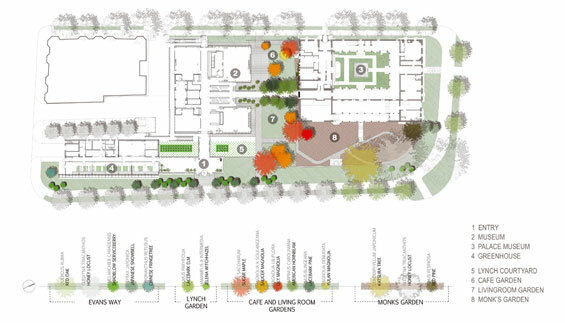 This strategy of visual transparency is a compelling contrast with the original museum whose masonry walls impart a strong sense of perimeter enclosure which then opens onto the unexpectedly lush courtyard garden. 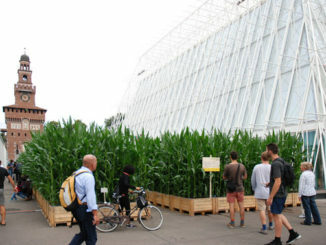 The gardens are a carefully curated botanical collection. 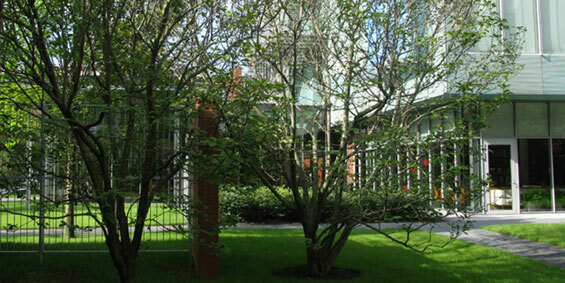 For the Lynch Courtyard – a temporary exhibition garden – L+A designed a precisely aligned grid of sapling Ulmus parvifolia secured with bamboo guying among an understory of Hamamelis x intermedia “Jelena”. 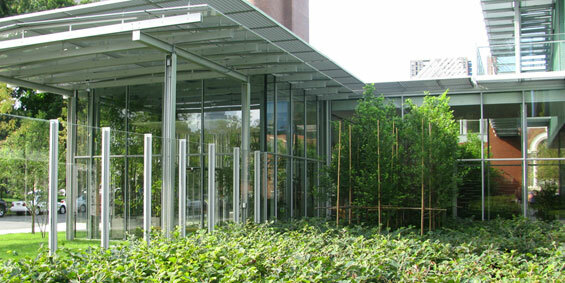 Parallel lines of white flowering Styrax japonica and multi-stem Amelanchier canadensis strike a fine-leafed scrim across the new entrance lobby. 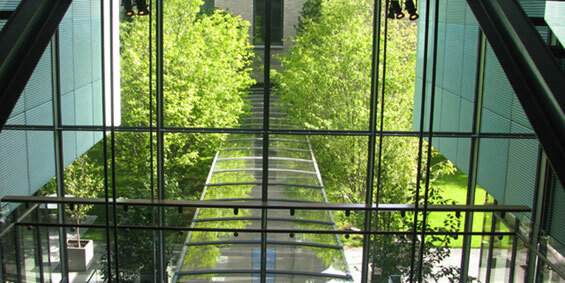 A grove of Carpinus caroliniana and Pinus bungeana envelopes the narrow glass corridor that traverses the gardens to link the original museum with the expansion. A family of magnolias includes one each of Magnolia lilliflora and Magnolia denudata which are the horticultural parents of Magnolia x soulangeana (saucer magnolia) of which there are five “running around” in the Cafe and Living Room Gardens.